Hi Friends! I hope you've been having a lovely week so far! I've had lots of fun creating projects lately and here's one more for you! 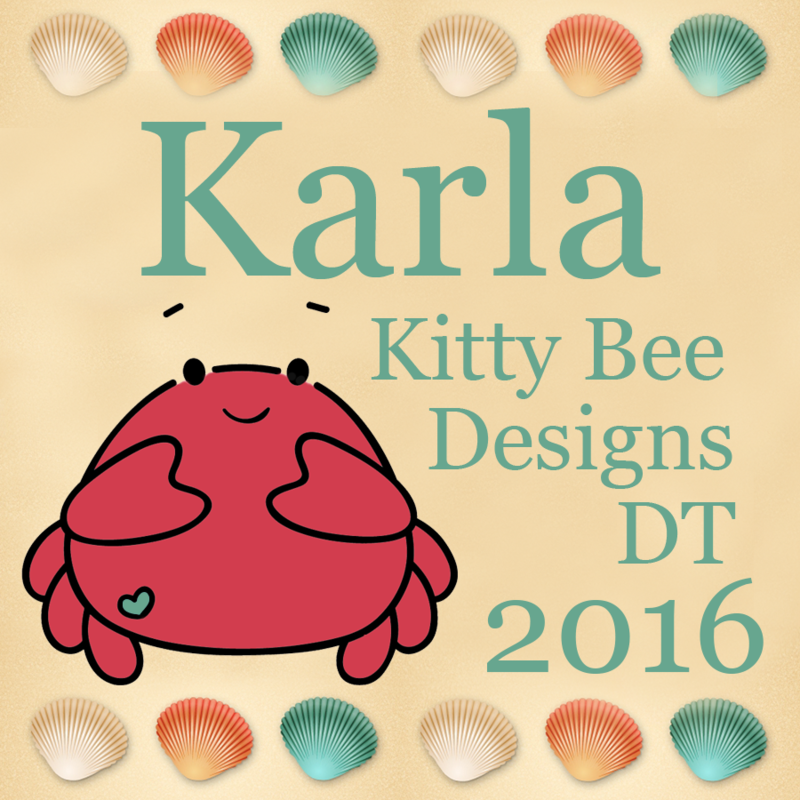 It's time for the midweek inspiration for Challenge #108 over at the Kitty Bee Designs Challenge Blog - Aloha Friday! For my card today I'm using this adorable koala digital stamp - Winter Kiddles from Sasayaki Glitter. He'd also be super cute on a Christmas card! I pulled out some pretty wintery paper from my stash and coordinated the blues and greys on the image coloured with Prismacolor and Hobby Colour Markers (alcohol based). I found some little diecut snowflakes and SpiegelMom Scraps sequins in the same colour scheme and used them on the card along with some pretty lace and bakers twine. I had a diecut thank you sentiment in my stash that someone sent me in some happy mail and thought it would be perfect as a wintery thank you card! I used one of my favourite embossing powders - Winter's Mistake, from Emerald Creek Craft Supplies to add some glittery snow around the edge of my matted diecut, cut with a Spellbinders Nestabilities die and on top of the diecut greenery branches. The silver brad in a Bobunny flower matched just perfectly too! Inside, I used a wonderful stamp from Pretty Pink Posh, some more snowflake diecuts and SMS sequins. Hi friends! I still can't believe my youngest, Erica, is in Kindergarten, and time is flying by so quickly! 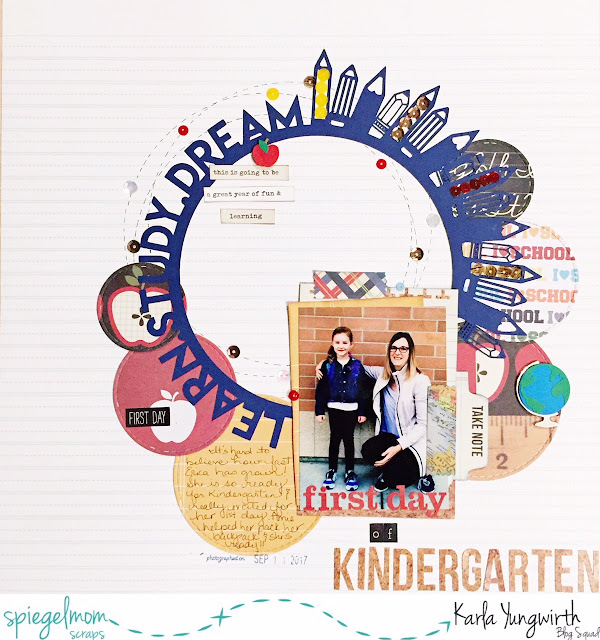 I'm over at the SpiegelMom Scraps blog today sharing this First Day layout using two of the new sequin mixes available this month and a FREE cutfile! 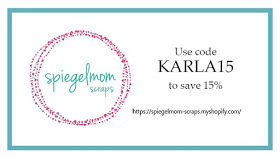 Be sure to check out the SpiegelMom Scraps blog for all the details and closeups, and don't forget to use the code KARLA15 to save 15% off all your purchases at the SpiegelMom Scraps store! 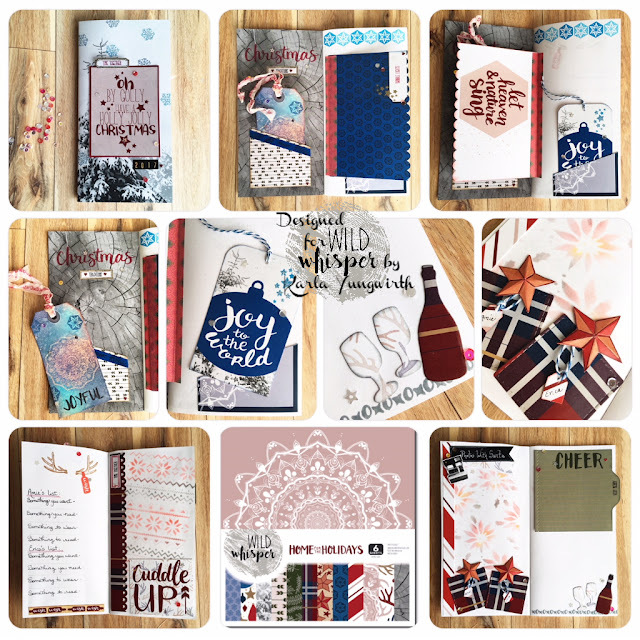 Canvas Corp Video - Holiday Baking Mix and Match Pad! Hi! I'm back today to share a video I have up on the Canvas Corp Brands YouTube channel - Holiday Baking Mix and Match Pad Review! I know you'll love seeing exactly what is in this beautiful Holiday Baking Mix & Match pad - and I hope I've given you some ideas on some fun Christmas ideas that you can use it for! Kitty Bee Designs - Honey Bear Twist Turn Birthday Card! Hello! I'm popping in to share this cute Twist Turn birthday card using the adorable Honey Bear image from Kitty Bee Designs that I'm sharing on the Kitty Bee Designs blog today. My sweet niece Emily turns one this week and I thought she'd love this card! I printed this sweet digi stamp on Kraft paper and coloured her in with Jane Davenport coloured pencils before adding some white highlights with a Dylusions paint pen. I found a number 1 sticker in my stash and added glitter and Glossy Accents to make it pop on the honeycomb background paper. I used the YouTube Twist Turn Card tutorial to create the card base. It's a neat fold and pops when you open the card! I had a mini CTMH stamp set with the little bees and hive that I pulled out to use on the card base. I love how the blue and yellow honeycomb papers are not from the same collection, but work together because of the patterns! I used the blue flower to coordinate the colours as well. Inside, I used a stamped sentiment from two Your Next Stamp stamp sets and a few more SMS sequins. Perfect for a little girl who is turning 1! Thanks so much for stopping by today! I hope you have a wonderful week. Hi crafty peeps!! I wanted to share a video I've got up on the Tattered Angels YouTube channel showing how I have fun using mists and paints to create some beautiful mixed media Christmas projects! Hope you're keeping warm and cozy - and having fun getting ready for Christmas! 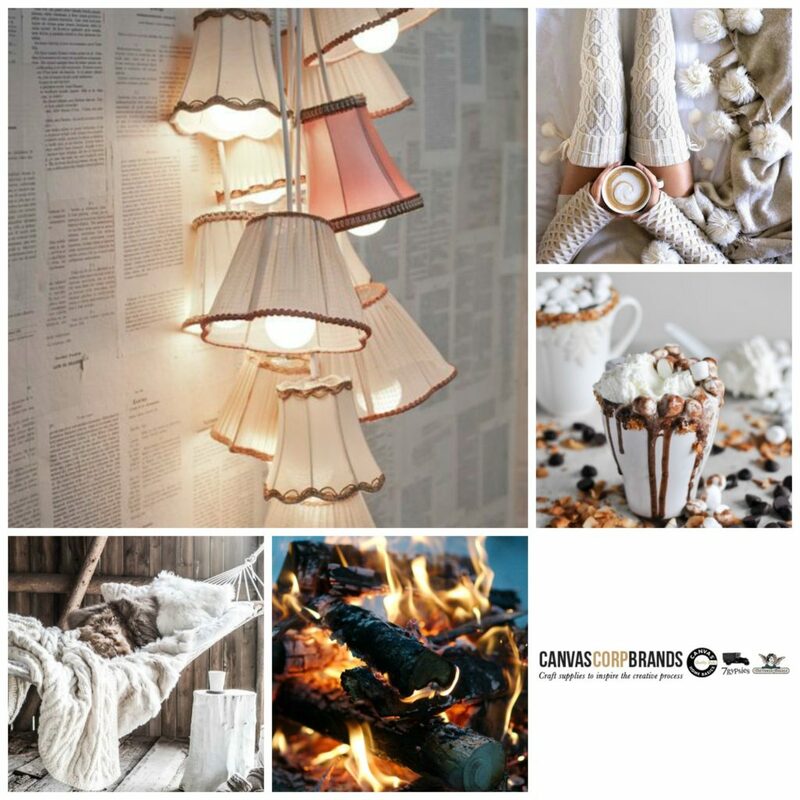 Canvas Corp Brands - Cozy Moments November Challenge! Hi friends! 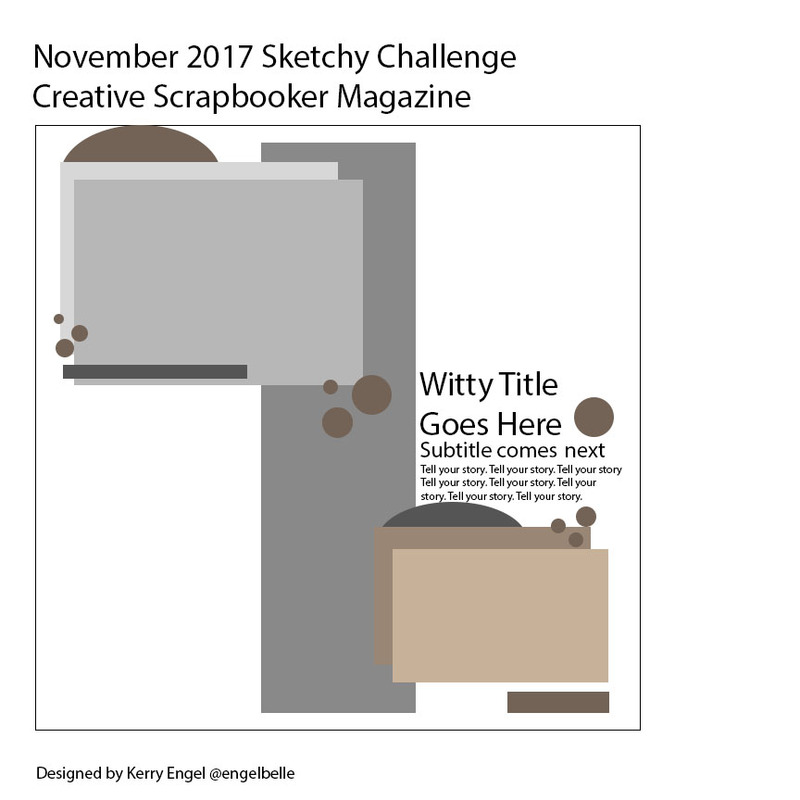 If you haven't checked out the monthly challenge on the Canvas Corp Brands Creative Studio Blog, you are are going to be so excited! There is a wonderful mood board and a challenge open all month long for you to link up anything you are inspired by the theme to create. This month the challenge is Cozy Moments, and here in Calgary, Alberta it has been really chilly - so definitely a challenge I have lots of ideas for ;) For this challenge I'm sharing a gift set I've created using Canvas Corp canvas coasters and papers, 7gypsies Architextures and Tattered Angels mists. You can head over to the Creative Studio Blog to see closeups and step by step details on how I created this set - perfect for gift giving or just keeping cozy! Here's a look at the gorgeous inspirational mood board - we'd love to see what you come up with for this challenge. There is a wonderful prize pack to be won, no specific requirements other than following the theme, and the challenge is open until December 5th. Thanks so much for stopping by today! Hope you're keeping cozy!! Hi friends! 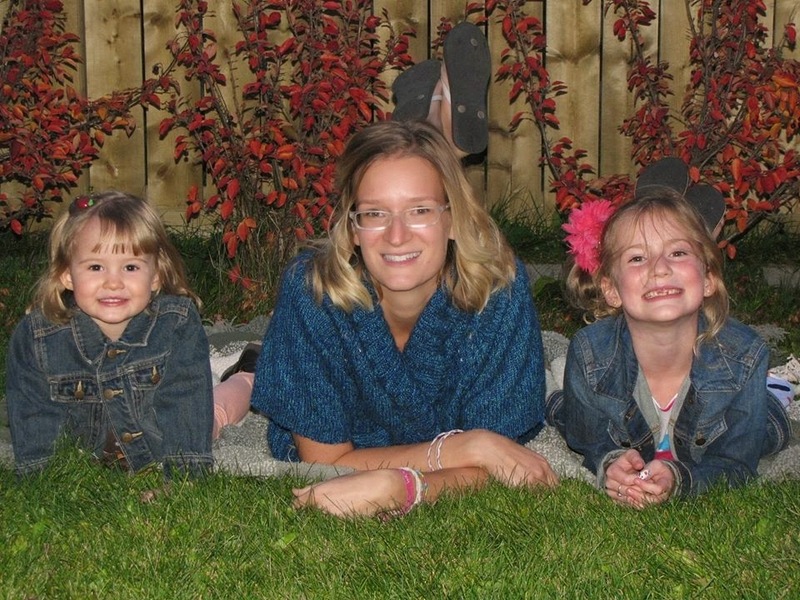 I'm over at the SpiegelMom Scraps blog today sharing a layout of my three girls together after my youngest - now almost 6!! was born. Erica is such a tomboy now, so I don't think I could make Unicorns and Rainbows work on her layouts now - but.... 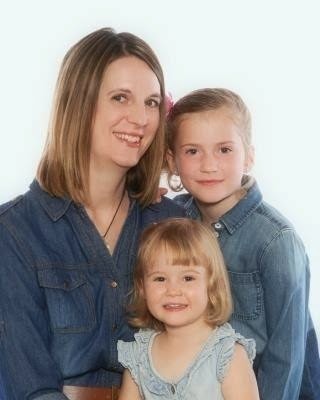 I think it works for these pics, lol! Wild Whisper - Home For The Holidays December Traveler's Notebook & Video! Here's the video where you can see the process I used to create it! Thanks so much for stopping by! I hope you are staying warm and cozy, and I'd love to hear if you are documenting your December festitivities. Don't forget to check out the blog post with all the details at the Wild Whisper blog, and you can find the brand new Home For The Holidays collection in the Wild Whisper Shop. Hello! I hope you’ve been having a fantastic week so far! I’m so excited to be joining the Scrap ‘N Stamp blog hop today where we are sharing projects using the fabulous set of Tim Holtz Distress Crayons #9. I have to admit, I haven’t played around with Distress Crayons for quite some time, But I had so much fun once I pulled them out and started playing! They have some really cool properties, and one of my favourite ways to use them is as a watercolour medium, but I’ve tried several different techniques here today. I'm the last stop on the hop, and if you've arrived from Nancy's blog you're in the right place. 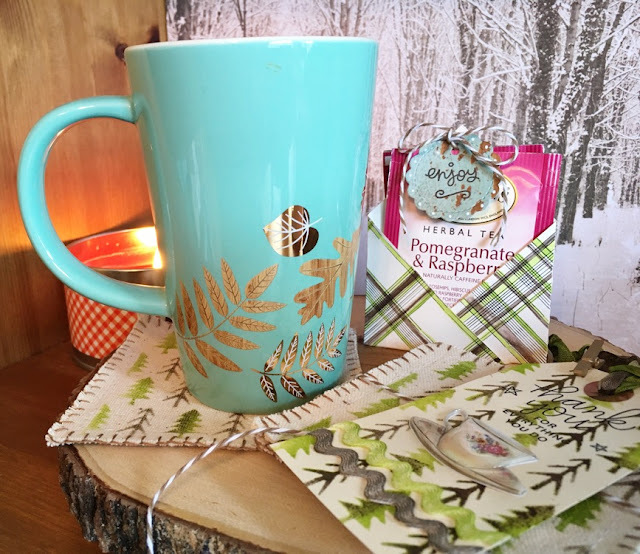 If you want to start at the beginning, head over to see Tara at the Scrap 'N Stamp blog. Here's a look at the two tags I made today. I'm sure two special people are going to love seeing these on their Christmas gifts (if I can part with them 😉). Be sure to check out below how one lucky commenter from each blog will win their own set of crayons - even international peeps! I started off by using two Tim Holtz stencils - the trees and the holly, and scribbled the Barn Door, Pine Needles and Brushed Corduroy Distress Crayons from the set onto my craft mat. I spritzed each colour with a little water and used a sponge tool to pick up the colours and stencil them on. It gave them a soft watercolour look, which I love! After the background was dry I used this star stencil to add a translucent texture paste over top and then added Soft Fallen Snow embossing powder from Emerald Creek Craft Supplies. I lightly heat embossed to add a lovely puffy texture and then added some Tumbled Glass and Weathered Wood Distress Ink around the edges for a bit of added shadowing. Next I used the Distress Crayons to colour in the adorable little girls from the Tim Holtz paper dolls set and the sleigh from the Tim Holtz ephemera by scribbling again on the craft mat, but this time using a waterbrush to pick up the colour and add it to the areas I wanted. The crayons watercolour so beautifully, and really I can't wait to use them more for this! Next I used them around the edges of the chipboard sentiments and the party invite by rubbing them directly on the edges and then using my finger to smudge around to blend the colour slightly. My last technique was to stamp seam binding ribbon with a couple Tim Holtz sentiment stamps using Archival Ink. Next, I scribbled the crayons onto the craft mat again, spritzed them with water, and lightly dipped each section into the colours. I crinkled up the ribbon and let it dry to give it a cool, crumpled look. I glued all my elements down, adding a Kaisercraft wood veneer embossed with Emerald Creek Charred Gold, a pretty pointsettia embellished with Stickles and a lovely red ribbon along the bottom. You can see I even used the Brushed Corduroy to edge the torn paper behind my photo - I love this effect! On the second tag I embossed another wood veneer embellishement and layered on these adorable girls, ready for their party, using foam dots to give them some dimension above the ribbon and chipboard. Scrap'n Stamp is giving away a set of Distress Crayons for every stop on the blog hop! So make sure to take a moment and comment on on all the designers' fabulous work by November 21st. 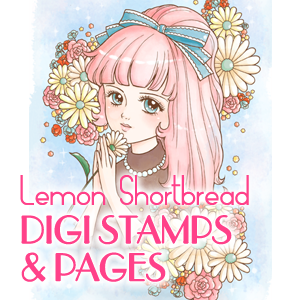 Winners will be announced November 24th and must email Scrap'n Stamp to claim their prize! GOOD LUCK! This prize is open internationally. ** Also all the Distress Crayons are on SALE (Canadian Shipping only) for 25% for the rest of this month!! Thanks so much for stopping by! I hope all these Distress Crayon projects have given you lots of inspiration to grab some of your own and get started on all the cool ways you can use them! Have a super awesome week, and don't forget to comment for a chance to win! Hello! I'm over on the SpiegelMom Scraps blog again today sharing a frosty fun layout using some of the new free cutfiles and sequin mixes this month - Roadtrips & Sunshine and Dreamland! It's been really cold here this week, down to -20's celcius... brr! However, looking at this sweet layout makes it seem like winter is not that bad, lol! I really love how the diecut snowflakes turned out using pink Distress Oxide ink and Emerald Creek Soft Fallen Snow Embossing Powder! 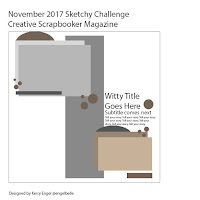 Be sure to check out all the details at the SpiegelMom Scraps blog and a look at the sketch I'm using as inspiration this week. It's the same sketch as last week, but I've changed it up to look totally different! And don't forget to use the code KARLA15 to save 15% off all your purchases at the SpiegelMom Scraps shop - even these cool Kaisercraft Stitched Circles I used today, which are on sale for an awesome price! 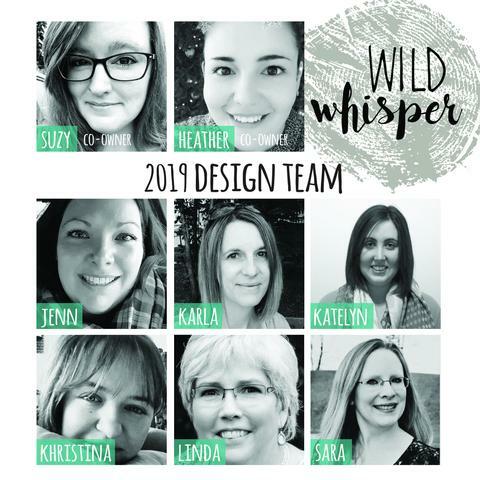 Wild Whisper Designs - Home For The Holidays Unboxing Video! Thanks so much for stopping by today! If you want to check out this beautiful collection you can find it HERE! Wishing you a happy, crafty week! SpiegelMom Scraps - Baby It's Not Too Cold Outside! Hi friends! I'm over at the SpiegelMom Scraps blog today sharing a layout using the new SMS FREE cutfiles, the new November sequin mixes and a fun sketch! I love these winter pics of my daughter a few years ago playing in the backyard, and I thought these fun Simple Stories papers were perfect, even though they weren't winter themed! I recently picked up the beautiful embossing powder Winter's Mistake from Emerald Creek Craft Supplies - and it is gorgeous!! It has flecks of glitter along with a puffy white powder - amazing, and perfect for winter. I've made a really short video showing you the details of how I add it to my diecuts up close. You can watch it HERE or click below. 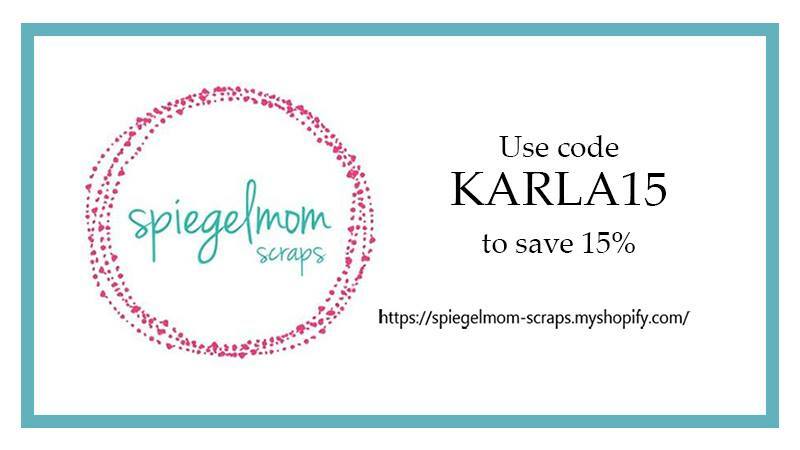 Be sure to check out the SpiegelMom Scraps blog for all the details and closeups as well as a look at the sketch I used, and don't forget to use the code KARLA15 to save 15% off all your purchases at the SpiegelMom Scraps store! 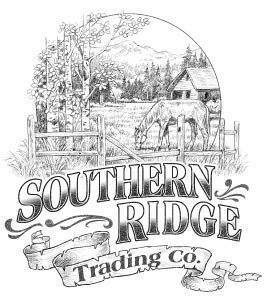 You can find the SMS products I used today there - Happy Happy Winter and Birthdays and Balloons sequins and Hunter Green Burlap String.